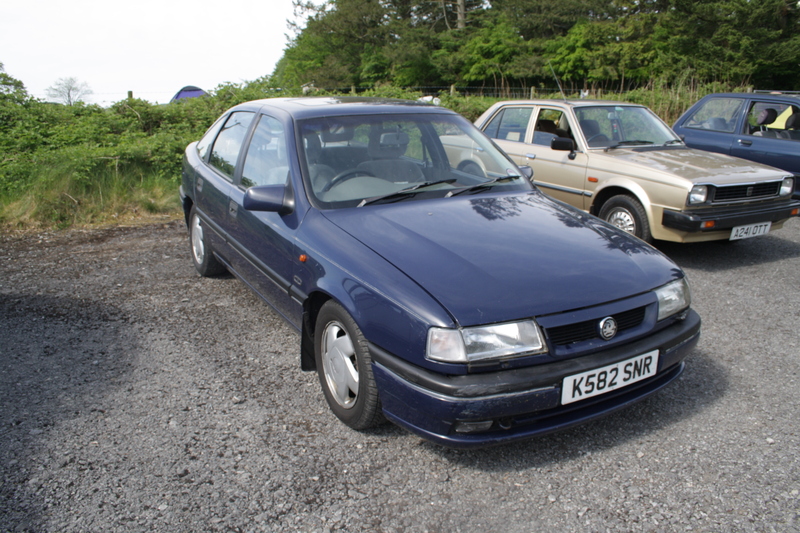 Craptacular Road Test: Vauxhall Cavalier Mk3 – HubNut – celebrating the average! Incredibly, it was 26 years ago that the third generation of Vauxhall Cavalier was launched. I remember it well. Permit me another Motor Show moment as I remember the 1988 gathering of new cars. Gone were the rigid, boxy lines of the Mk2 Cavalier. Instead, Vauxhall/Opel built on the public acceptance of the swoopy Sierra – that acceptance was a long time coming. The Cavalier was timed perfectly. I remember sitting in the Cavalier in 1988, feeling very impressed by the split/folding rear seat that was a feature even on the saloon. This ten-year old critic was impressed. I loved the styling too, but it wasn’t until 1990 that I got my Cavalier experience – a relative got a bright red 1.6L as a company car. He probably doesn’t know this, but I tested the safety feature built into the electric windows one day. The theory was that if it encountered a hand on the way up, it’d stop before crushing the hand. Thankfully, it does! Because I tested it with my hand. Not that the good point stopped at stupid-child-friendly windows. 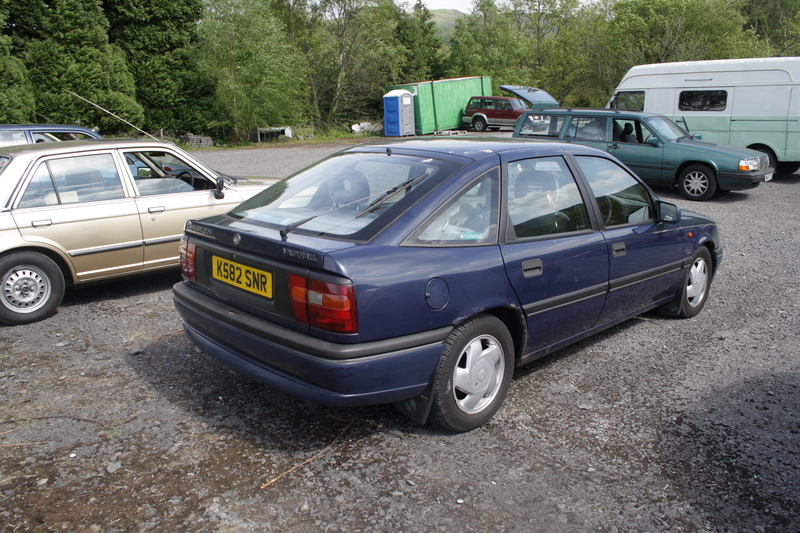 The Cavalier was one of few cars where you could carry out a clutch change without dropping the gearbox. A far cry from the palaver that faced the Sierra owner. It was entirely designed with fleet markets in mind. Yet I liked the growl that Vauxhall engines managed to deliver, even in 1.6 form. I had to wait even longer than my LT moment to actually drive a Cavalier Mk3. The example I was faced with had typically crusty rear arches and was very evidently not in the first flush of youth. Incidentally. Here’s an anorak fact for you. The windscreen wipers were changed in 1991 for the simple reason that the original design didn’t easily allow you to change a wiper blade! The bonnet got in the way. Concealed wipers are all well and good for aerodynamics, but the revamped wipers were a lot easier to change. They haven’t parked properly in the above picture. Clambering aboard the Cavalier was a true step back in time. 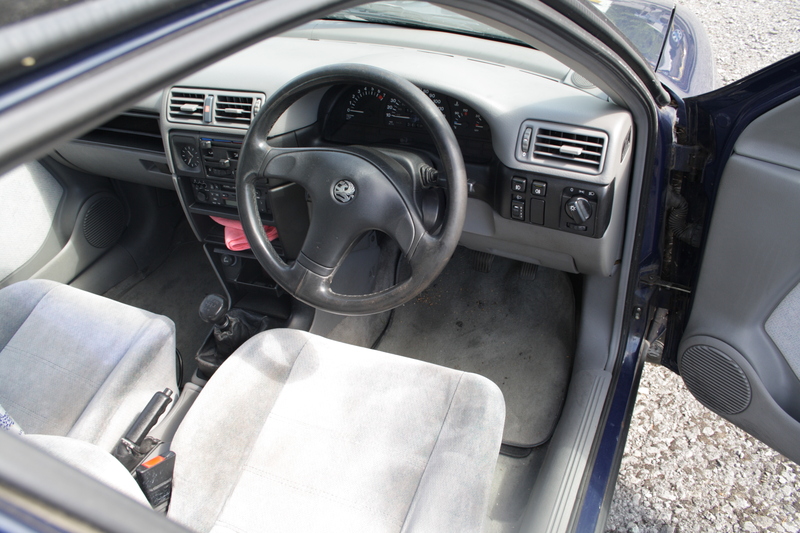 I spent many, many hours pretending to drive my relative’s Mk3, so I was very familiar with the layout – if not all the extra toys and velour that the CD spec gets you. To be honest, it’s not a particularly thrilling place to sit. Lots of grey and black plastic and little inspiration. This was the first time I’d moved the stubby gear lever and been able to drive off, so it was quite a moment. The mechanical action felt very familiar. The nose was aimed at a hill and away we went. The 2-litre engine is nice and punchy, with excellent torque characteristics. It sounds deep and gruff. Like Barry White doing a lion impression. It’s surprisingly appealing for a four-pot engine. As we powered around a series of bends, I was struck by how pleasant the Cavalier is to pilot. Hardly sports-car exciting, but grippy, composed and with enough power to sprint between corners. No wonder Ford felt they had to push the boat out with the Mondeo. General Motors had got a massive jump on the Blue Oval. The seats were comfortable too, though I’d need a longer test to really ensure comfort. Vauxhall have a bit of a reputation for poor seating – a passenger experience in the back of a Zafira still carries painful memories. Overall though, the Cavalier more than lived up to expectations. It’s still very tempting to hunt down one of the excellent Isuzu-diesel powered versions, but even the petrols offer good pace and economy. It’s easy now to forget the impact of the curvy Cavalier back in 1988 but while corrosion has killed many, the Cav still makes a great cheap buy today and still drives very nicely. Not hugely exciting, but marvellously competent.